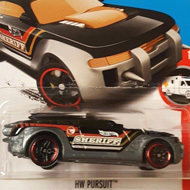 DVD07 is a 2017 Treasure Hunt and 4/5 in the HW Snow Stormers series. It has blue graphics with “SS” and the low production symbol. The truck has gold chrome windows, a gold chrome engine and exhaust pipes. 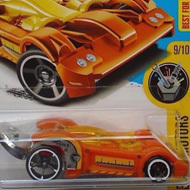 It has 5-spoke wheels with white off-road tires and a blue plastic Malaysia base. 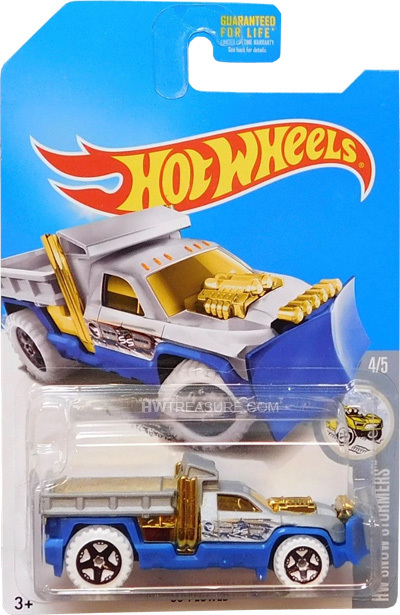 So Plowed made its debut in the 2014 HW City – HW Rescue series. It is a unique design of a snow plow truck.